For a Life Forgotten – Stonehearted Volume 3 Published! I am pleased to announce that For a Life Forgotten has now been published and is available in eBook and Print Book formats! The concluding volume 4 is nearing completion and should be out in the summer. The English army commanded by Robert Knolles has reached Paris – the capital and the honour of the French kingdom is under threat. But against the backdrop of war another drama plays out – will Eolande find her father, who was captured by the French? Will Richard seek the redemption he seeks after the terrible killing of his brother, and what will be the fate of the amoral Minsterworth, a captain in the English army, but only interested in his own gain? Meanwhile secrets about the fate of Eolande’s father will be revealed. For a Life Forgotten is the third part of the Stonehearted series, a fast-paced medieval adventure story set during the epic Hundred Year War between England and France. The last time England withdrew in a big way from the continent of Europe – there was a Civil War! What am I talking about? Well England’s defeat in the Hundred Year’s War lead pretty much directly to the Wars of Roses. With the UK now split almost evenly on the issue is there a danger of strong divisions appearing again in our society? There are strong emotions on both sides–anger at the result of the referendum and fear of uncertainty over what will happen next? These are dangerous times I feel – we’ve had for the first time popular leaders in the UK stirring up tensions. What’s next? It feels like we’ve taken a massive step back in terms of tolerance and a rational approach to politics and society. Looking at a map of the referendum results – you can see how further resentment and division will bubble along in the future – the richest city in the UK, London, voted overwhelmingly to leave – but will now suffer because of the economic downturn. Whereas Scotland and even Northern Ireland may leave the union together over this. This is a new civil war – fought through the media, ballot box and via words, rather than with swords and arrows – but it feels like a war nevertheless. 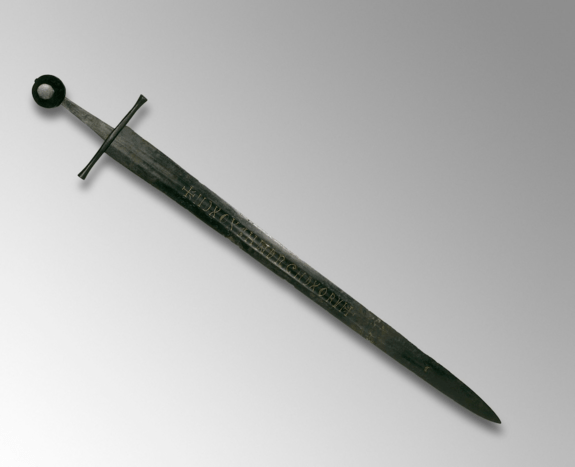 I am working on a project at the moment to improve my understanding of the beliefs towards magic in the Middle Ages – specifically fourteenth century England, where I set much of my historical fantasy. I would like to know more about what people of this time thought about magic. One of my first stops is to look at some of the references to magic in the literature of the time – so where better to start than the best known writer of the time, Geoffrey Chaucer. example, but I am starting here with a quick summary of the instances I have found so far in Chaucer’s Canterbury Tales. How am I defining references to magic? I am not including stories set in antiquity where pagan gods intervene on behalf of the characters, such as the Knight’s Tale where Saturn causes the death of Arcite. Neither am I including purely supernatural interventions of the devil – such as the Pardoner’s Tale. If someone summons a demon that’s fine, but I don’t think there’s actual magic in the Pardoner’s Tale. The Canon Yeoman actually assists his own master in the practice of alchemy and the whole of his tale focuses on that magical art in quite a lot of detail. I’m looking forward to digging into this one in more depth as it should reveal quite a bit about the practice of alchemy in fourteenth century England. A man is fooled into thinking he is about to meet 24 maidens, but they magically disappear to be replaced by an old hag – a witch effectively. On the way to extort money from a widow, the Summoner encounters a yeoman who is apparently down on his luck. The two men swear brotherhood to each other and exchange the secrets of their respective trades, the Summoner recounting his various sins in a boastful manner. The yeoman reveals that he is actually a demon, to which the Summoner expresses minimal surprise—he enquires as to various aspects of hell and the forms that demons take. This could be a bit like the Pardoner’s Tale, but I’m including as the medieval practice of necromancy involved the summoning of demons. This tale includes a number of magical items such as a brass steed that can teleport, a mirror that can detect enemies and friends, a ring that allows the wearer to talk to birds and a sword that deals and heals deadly wounds. Also the tale includes a digression on astrology. Aurelius needs to remove all the rocks on the coast of Brittany in order to win the hand of a lady. He does this by employing a magician. I am planning to do a blog post for each of the examples above to look into the portrayal of magic in more depth. First look at chapter 6 of the next volume of Stonehearted. The first volume is By the Sword’s Edge. The second volume doesn’t have a title yet, so I’m going to call it Stonehearted 2 for now. I started writing the second volume towards the end of last year and am making fairly good progress on it at the moment. I thought it would be fun to post here each completed chapter as I write them. They’re only drafts at the moment – no fancy editing, so probably riddled with typos and inconsistencies. Once I have finished this volume I’ll publish it in print and eBook format and announce it on this blog. She knew that she probably only had a few days before someone would come looking for her. Word would spread that the daughter of Sir Henry d’Aubray had run away, and that word would be carried around England and taken overseas on ships from the Eastern ports, and end up in Calais soon enough. Calais being just an extension of the English kingdom. But that suited her. If she could spend as little time as possible in the garrison port that would not disappoint her. “How much?” she had said, startled, when she enquired the price of a room at one of the many inns in the town. The rates were double the amount one would pay in Lynn, and seemed higher than London even. The tight-lipped Madam of the inn with whom she spoke merely crossed her arms and shrugged. “C’est le prix, à prendre ou à laisser.” That’s the price, take it or leave it. Eolande had left it, hoping that other inns would be cheaper. Down the long street through Calais she walked. Carts of wool trundled past her, kicking up clouds of dust as they went, on their way to the Staple warehouses to be weighed and taxed by English customs officials, having been off-loaded from ships that morning. It was afternoon now, and she wanted to find somewhere soon so she could start asking around after her father. There were plenty of soldiers here who might have served with him on campaign or garrison duty. But she didn’t like the way that she was leered at as she walked. There were too many men here. Many more men than women. The soldiers of the garrison accounted it seemed for half the male population, every other man she saw wore mail, carried some sort of weapon and had the badge of St. George on their clothing somewhere. And many of the others were sailors or traders from England linked to the wool trade who’s only legal export was through the port of Calais. Each man who walked or rode past her looked at her. She tried to keep her eyes on the path in front of her, and sometimes looked up at the signs to see if there was another inn. But she could still hear their shouts and whistles. “Just a kiss, love. Heh, Beauty, I’m in love!” And worse than that, words that she didn’t even know. None of the inns were any cheaper. Some of the prices were going up even. She was near the castle and the town hall and the larger houses of the town merchants. This was no good, she wouldn’t find a cheap room here. Two women passed her. That was unusual. She had seen some women walking the streets. Servants, wives of shop-keepers on errands, women selling food and pies from stalls in the streets. Most of them middle-aged, older craggy or saggy faced women. Not young. Not enough to draw the attention of the soldiers and sailors. But these two who had walked past her were young, probably about her own age. They walked fast, their heads were covered like hers and they wore plain woollen clothes, but as they went on Eolande’s nostrils caught the smell of roses. These young women were wearing perfume. She turned and watched where they went. They turned down an alley. Eolande followed. They walked perhaps half way along and then knocked at a door. After a few seconds the door was opened and they entered. Before the door swung shut again, Eolande could hear music and laughter spill out from within. And then all was quiet again. She walked on and approached the door. There were windows on either side of the door, both shuttered, but slivers of orange light seeped out between the cracks in the wood. Eolande gazed at the door. She tried to make out what kind of house this was. Who lived here? The women had looked modest enough. Were they craft-workers? Perhaps this was an artisan’s workshop? But the music? Then she spotted it. It was right before her, carved all over the wood of the door, and now she realised on the wooden shutters as well. A goose in elaborate and finely worked carving deep in the wood. It had covered such a large area that she hadn’t spotted it at first. Without thinking she took a step back and fingered the ring on her finger that acted as pretend wedding band. She’d never seen such a place, but she knew they existed. There were some in Lynn, she thought, and in London the whole of Southwark was full of stews owned by the Bishop of Winchester. The Bishop’s Geese they called the whores there. Such a place was not illegal, but the good burghers of any town would not want a brothel on their doorstep, so in London they were away from the city across the great river, and in Lynn and here, the establishment was hidden away, disguised, but less than a bowshot away from the respectability of the richest in the town. She looked up and down the alley. There was no one else about at this time. No doubt in the evening when men had more drink in them they would be coming in groups to take their pleasure here. There would probably be some of the same type of men who’d been leering at her on the street inside now, unable to control their lusts and with spare coin to pay for their relief. The thought made her heart pound. These men would be soldiers. Perhaps some of them were back from campaign or raiding and might have heard word of her father. Where else would they be more at ease and perhaps willing to talk than when their trousers were round their legs and their pathetic member would lead them to do anything. Eolande slipped the ring off her finger and put it in her bag. She pulled her shoulders back and pushed up her bosom, held in her stomach, practiced a smile and knocked on the door. Divided Houses is the third volume in Jonathan Sumption’s epic history of the Hundred Years War – the war that everyone knows didn’t really last a hundred years – more like 117. However, one could argue that with the various truces and peace efforts that’s not quite the case. Divided Houses at first glance looks like it might cover one of the less glamorous periods of the war – there’s no headline English victory to write about – no Crecy, Poitiers, or Agincourt. Despite this, or perhaps because of this lack of a landmark battle distracting from the rest of the narrative, what is recounted is completely compelling. The period from 1369 to 1399 was a period of conflict and strife not just between the main two participants – France and England, but also internally in both countries as well. This was the period of the decline of Edward III, the Peasant’s revolt, and the deposition of Richard II in England. While in France power politics amongst the King’s relatives and generals and a bout of madness that lasted most of Charles VI’s reign add to the intrigue. The narrative is also compelling because it really shows how unrealistic the war with France was for England – they just couldn’t afford it. But even France, who at last got their taxation together and built up some massive armies and fleets to invade England, saw those plans crumble to dust in the face of political uncertainty and bad weather. There are also the sideshows of the war in Spain and Portugal, where the feudal ambitions of John of Gaunt failed and the Portuguese won their landmark battle of nationhood – Aljubarrota. But for me one of the most interesting sections is on the situation in Gascony, where because of the war a state of chaos reigned. 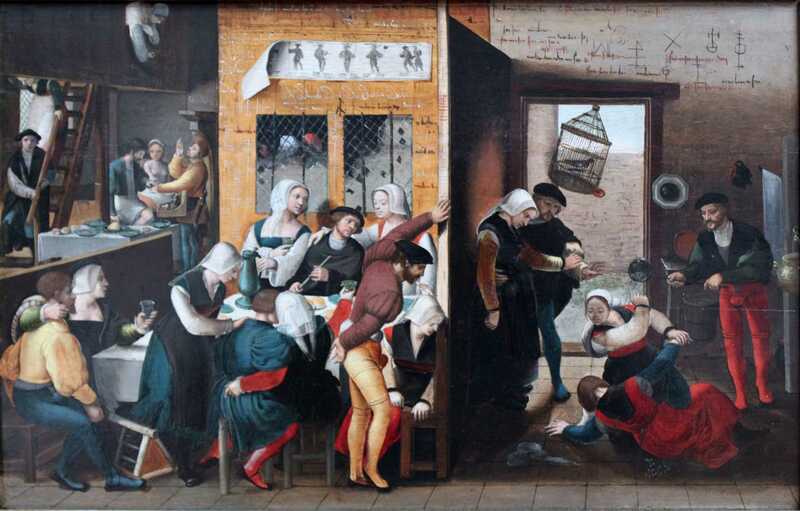 Knights and nobles indulged in what can only be described as gangster-like activities – forcing towns to pay them protection money – or patis – or suffer the consequences. Local counts and dukes used the very same robber barons to form armies to fight various causes – whether in the national wars between France and England, or to supposedly put an end to the problem of outlawry. Sumption tells his story of these years with an admirable combination of narrative skill while never skimping on interesting detail and exhaustive research. Divided Houses is an essential history of one of the more overlooked periods of the Hundred Years War.